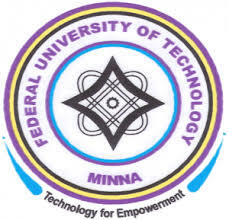 FUTMinna Admission Screening Form 2019/2020: Federal University of Technology, Minna Admission Form 2019/2020. FUTMinna Post UTME admission form 2019/2020 & FUTMinna Direct entry admission form 2019/2020, FUTMinna Cut off Marks. Check FUTMinna 2019/2020 Admission form, screening requirements, eligibility, how to apply & deadline here. FUTMinna Post UTME Admission Screening Form 2019/2020. Federal University of Technology, Minna (FUTMinna ) Post-UTME admission screening form for the 2019/2020 academic session is out. This is to bring to the notice of all prospective candidates of Federal University of Technology, Minna (FUTMinna) that the management has announced the admission screening exercise for UTME and Direct entry candidates seeking admission into the Institution for the 2019/2020 academic session. All prospective candidates who chose the University as their First Choice for the 2019/2020 Academic session and scored 180 and above in JAMB UTME as well as Direct Entry Candidates to visit the University website www.futminna.edu.ng for registration. Candidates are to generate the Remita Retrieval Reference using your JAMB registration number as Username and proceed to make payment either online or bank.